PREMIUM LOCATION - ONE OF THE LARGEST LOTS IN COMMUNITY W/PANORAMIC VIEWS! Huge pie shaped lot completely upgraded w/large grass area, patio area, fruit trees & vegetable garden. Enjoy views of mtns & hills! 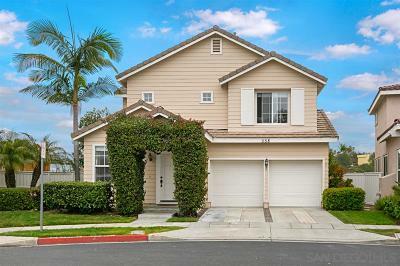 Highly upgraded thruout - incl LVP flooring, all new carpet upstairs, designer paint & much more! Shows modern, light & bright! Kitchen completely remodeled. Beautiful views from spacious master w/large walk-in closet. Ceiling fans in all bdrms. Short drive to beaches, restaurants & shopping!, Close to restaurants & shopping! Short drive to the coast & beaches!